U know wat, i had a 'bad' dream yesterday.... i dreamed that i got 3.95 for my gpa this semester, i was so thrilled, so the whole day i was so excited, couldn't wait to know my result. BUT hell.... when i finally got to know my result, haha.... its pretty close to what i dreamed, the difference is small, only 0.4 lower than what i dreamed, but its enough to spoil my whole-day-mood... Now u know why i call it a bad dream.... the higher the expectation, the painer injuries u gonna get, this is what i learnt today. Anyway today is the death of Michael Jackon and Farrah Fawcett, may them rest in peace, they might become best friends in heaven too. Well, i'm not that emo actually, just feel disappointing..... but anyway, i'll get better tomorrow... hope my friends too. 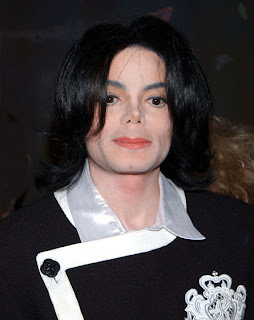 Michael Jackson died today morning 5.21 am hope he can rest in peace . We have lost a person who is very talented in music n the entertainment world . He declared as the king of pop hope he can rest in peace la . . . If u want tell me things tell properly la dont need say those kind of words to me mah like want tell dont want tell like that . So sad la as if i beg u to tell me like that . So sad la now anywayz trying to stay at home and see how boring is it the wheather like that so dusty and dirty i also dont want go out la haiz bad for health . .. .
Well today very interesting i woke up at 10 something 1st thing i did was online then suddenly some 1 ring the bell i tot was who so i went out and see la who is that then saw my dad`s friend come do the lighting want so i quickly open the door for him n he then teaches me how to do the lightning how many ohms and stuff la the starter shud be near this not that bla bla bla many things la . Then after that finish fixing liao he tell me a lot of things bout life n say how valuable life is and stuff la very thankfull to this guy that awakens me . thank u . What's ur feeling now? my feeling is kinda strange... holiday? how come i don feel happy at all? or should i say i ain't feeling any happy all along the week. I started mood swinging last sunday, my mood changed everyday..... worse. Stress of studying? kinda.... got disturbed by someone while i was studying last weekends. I don usually mind about the musics, but last weekends i did, i just felt lucky that i didn't start to fight, he is good. Tough week ended today, everyone happy, i shall, supposely.... but i feel aimless all of sudden. call me out call me out !! Finally the drastic final exam has finally over . So pls call me Out Out Out !!! I want out I cannot tahan liao weeeeeeee bring me out man .. Or jio me out la go for movie or something especially my girl de friend ^ ^ .